New upgrade of a legendary SMOK ALIEN 220W Mod with TFV8 Baby Beast Tank is coming to our store soon! Morph 219 kit, an outstanding example of top-notch craftsmanship and advanced technologies. It is the world's first mod designed with input keyboard, which is a revolutionary change for mod operation! It also improved the inner chip, shortening firing time to 0.001S! As for screen, its 1.9" touch screen can offer you convenient operations. Its max output power is 219W, easily to satisfy the cloud chasers. 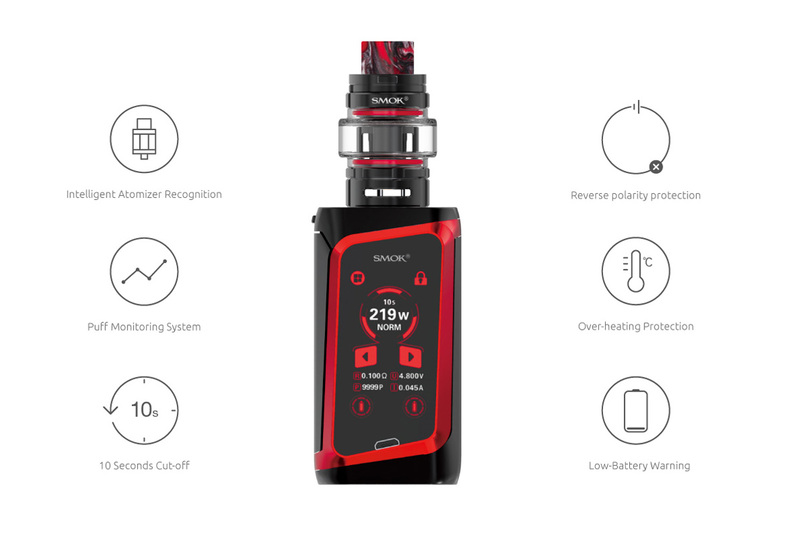 SMOK Alien kit fans may possibly see certain similarities in appearance, such as the banded lines around the screens and slightly twisted USB connection port but that is about as close as they are to each other as this new Smok Alien upgrade took it way beyond. The Morph 219 is probably the most advanced piece of hardware that is currently on the market, as soon as you look past the outer skin and get to its functionality. 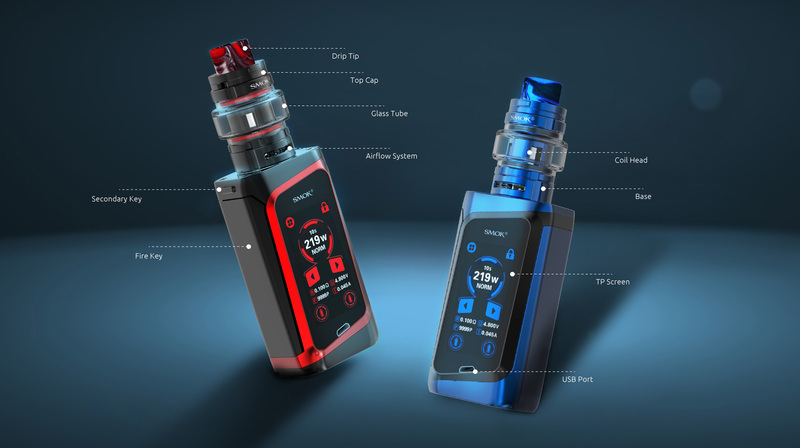 As already mentioned, at first look it is reminiscent of the legendary Alien Kit, with sweeping lines around the entire box, but instead of Carbon Fiber inlays and adjustment buttons, you will find a 1.9-inch touchscreen on the front and a beautiful Resin inlay on the back. The Morph 219 mod is a masterpiece of technology, pushing further than most mods on the market would dare. Menu systems that are simple to operate and a child-locking system that goes above and beyond anyone’s expectations come as standard. Add to this a firing speed that is faster than any mod on the market and, on paper, this looks like one of the finest vaping devices ever made. Get the SMOK Alien Kit here at the best price until we wait for the stock of a new Morph 2019 kit. It never hurts to have them both!